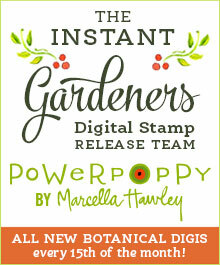 I love a good card challenge, especially when it’s being sponsored by one of my favorite artists — Marcella Hawley of Power Poppy. Some day maybe I can be a member of her Bloom Brigade, but until then, I’ll have to be content with being one of her many fans. This weekend the celebration is over at the Passionate Paper Creations Facebook Group — a specially priced digital stamp and a coloring contest. Don’t miss out on the fun! Once again I used my Cameo Silhouette to cut out the digital stamp and to print and cut the stitched background and sentiment. I originally planned on using pop dots to raise the sunflower off the previous layer, but realized that the leaves and bud would be unstable and prone to tearing. 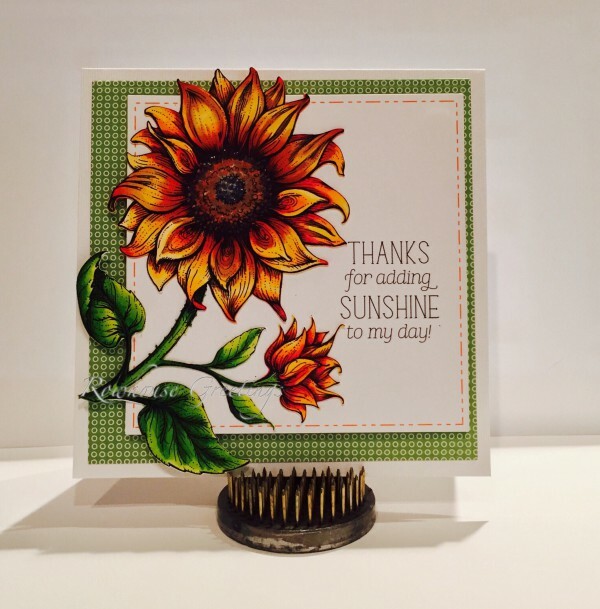 So I adhered the sunflower to the stitched background and then used pop dots to raise the combined layer, giving additional depth and dimension to the card. Oh, Nancy, how gorgeous! 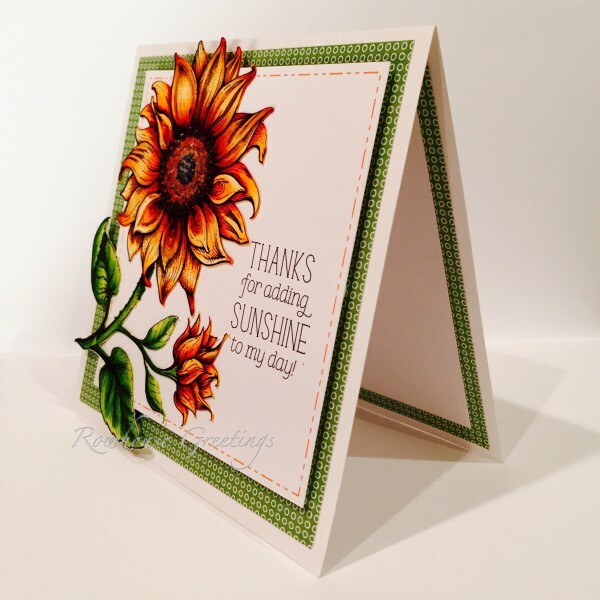 Such a beautiful card with your Silhouette cut flower! This sure is one beautiful image, and you’ve really made it shine! Hugs!